The Seek Reveal XR and Reveal Pro are some of the best handheld cameras you can get for their price. The Reveal XR has been around for longer. With a range of up to 900 feet, a 20-degree field of view and an exceptionally long 10-hour battery life, it’s perfect for outdoor uses by both pros and hobbyists. The 206 x 156 thermal sensor picks up heat signatures easily within a versatile temperature range of -40° to 626°f. 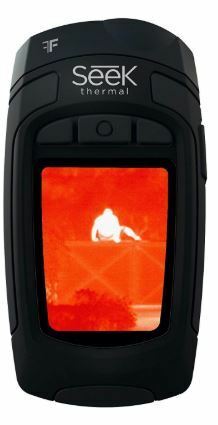 The Reveal Pro is the more powerful sibling for pros who need a capable but compact thermal imaging camera. It comes with a 320 x 240 thermal sensor, more than double the temperature pixels of the XR and a range of 1,800 feet. It is also equipped with upgraded software that provides more settings and options to suit different situations. You can change emissivity settings for a more accurate reading, select from three operation modes and choose from nine color filters. 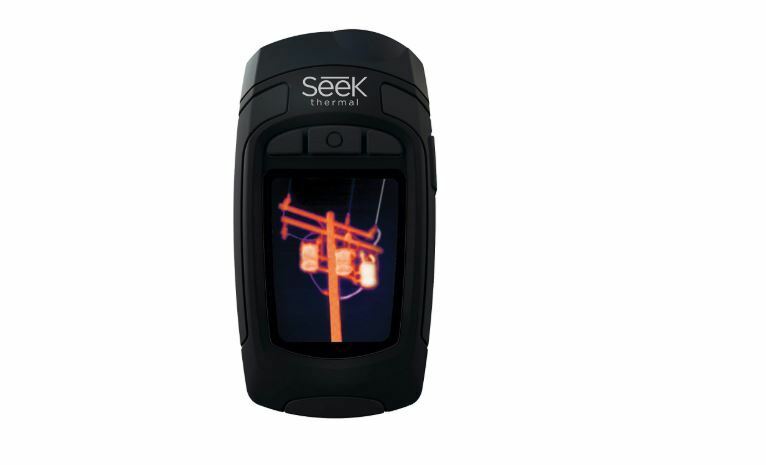 Both models feature a 300-lumen LED flashlight and rugged rubberized casing for outdoor use. Read on to learn more about the Reveal XR and Reveal Pro, their differences and the best applications for each. 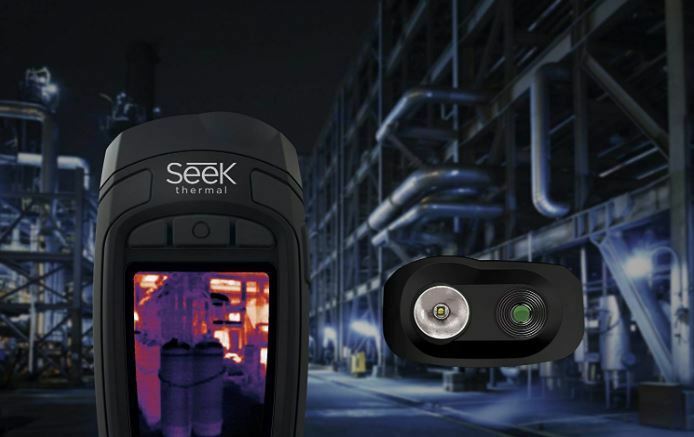 If neither of these meets your needs, read our reviews of the leading thermal cameras for other top recommendations. The camera measures 5H x 2.4W x 1.2D inches and weighs 6.25 ounces, making it easy to carry around in your hand or even in your pocket. The rubberized casing keeps it safe no matter where you are. 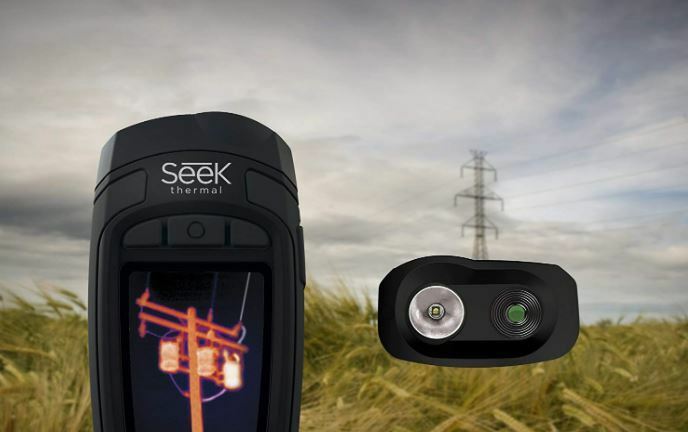 The camera comes with a powerful 206 x 156 thermal sensor that can pick up heat signatures as far as 275 meters or 900 feet away. The extra-long range makes it handy for certain applications like hunting where you need to keep your distance. The sensor’s 20-degree field of view is perfect for both close up and far away applications. It’s wide enough to cover a large area but not too wide that the image loses detail. The sensor can read temperatures between -40° to 626°f. The wide range allows for many different kinds of applications in different environments from freezing conditions to industrial systems. 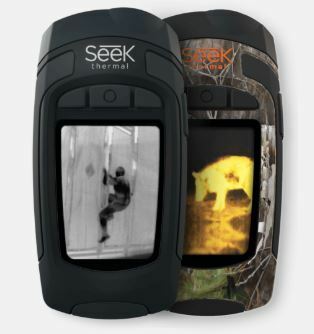 SEEK uses a technology they call FastFrame to provide stable imaging for fast moving objects or when you are moving. With a frame rate of 15 frames a second, the sensor is able to capture moving images while reducing motion blur. The rechargeable battery provides 10 hours of continuous use. This gives you the freedom venture out into remote areas without worrying about recharging the camera. The camera comes with a USB cable for charging. For those moments when you need to examine what your camera is picking up, there is a bright 300-lumen LED flashlight built into the unit. You can set the flashlight on high (100%) or low (20%) depending on how close you are to an object. At the bottom of the Reveal XR is a slot where you can insert your own SD card to store thermal images. To transfer photos, you can remove the SD card, though it’s a tedious process, or use the USB cable to download photos from the SD card to a computer. You navigate the interface using three buttons: menu, up and down. Compared to the Reveal Pro, the XR doesn’t have a ton of options so navigating through the settings is easy. You can browse through your gallery and select filters, change device settings (language, date, auto switch-off, temperature units etc.) and turn the flashlight on/off. The Reveal Pro is just as compact as the Reveal XR, down to the exact dimensions. It spots the same rugged rubberized exterior and 3-button control panel at the top. It’s also just as rugged with a rubberized casing and a 2.4 Inch color display with Corning Gorilla Glass. Beyond that, these two thermal cameras are starkly different. The Pro is generally more powerful, has higher image resolution and boasts wider application versatility. Here’s how it stands out. The Pro can pick up heat signatures at double the distance of the XR. This makes it particularly useful for outdoor applications. The longer detection range is accompanied by a wider 32-degree field of view that allows the sensor to pick up more detail at longer distances. The longer detection distance is thanks to a more powerful sensor that maintains great resolution for both close-up and far away objects. The sensor has a resolution of 76,800 pixels, more than double the 32,136-pixel resolution of the Reveal XR. For pros who need highly detailed imagery for sensitive applications such as inspections and facilities maintenance, the Reveal Pro is the best choice. Yet another handy tool that we have the powerful sensor to thank for is the 4X digital zoom. This gives you a closer look at far away objects and is especially useful when you don’t want to get too close. Normal: The normal/default imaging mode. This mode provides the smoothest frame rate, making it the best for imaging moving objects and when you are moving. Full frame: The camera displays all temperature data of a scene. Ideal for when you want to get more detail out of a scene. Span and level: This mode lets you filter out objects that are not within the set temperature range so you are only left with the ones you are interested in. This is handy for applications like inspections and maintenance. In all three modes you can select from a variety of filters. To get accurate temperature readings, you can adjust emissivity settings depending on the type of surface you are inspecting. There are four emissivity settings: matter, semi-matte, semi-gloss and gloss. It’s no surprise that the Reveal Pro has a shorter battery life. The high resolution and powerful sensor require plenty of power. 4 hours is still long enough for most applications. For projects that will take longer, consider carrying along a power bank or solar generator. Don’t bother with an SD card. The Reveal Pro comes with 4GB of built-in storage for your thermal images. You can transfer the images to your computer using the included USB cable. Compared to the Pro, the XR has many limitations. It has a smaller detection range, lower image resolution and fewer imaging options. It also lacks internal storage, which is more convenient than a fiddly SD card. The Pro on the other hand suffers from lower battery life though that’s understandable considering it has features that are more powerful and thus more power-hungry. 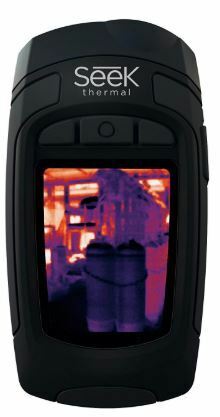 Professional quality thermal imaging cameras often cost thousands of dollars. I’m not saying that the Reveal XR or Reveal Pro is as powerful as a $1,000+ model. But for their prices, they provide a nice selection of features and great thermal imaging capability. For pros and hobbyists who are looking for a cheaper thermal camera that is powerful enough for most applications yet small enough to carry in your pocket, the Reveal XR and Reveal Pro are great choices. The XR is perfect as an entry-level thermal imaging camera. The Pro is great for pros and anyone who want to take their thermal imaging a step higher.